One of Orchard Park’s popular pizza places is Cappelli’s Pizzeria. Owners, Jodie & Gerard Cappelli, have owned and operated the pizza shop since 1986, making Cappelli’s Pizzeria one of Orchard Park’s oldest running pizzerias. At Cappelli's our menu includes all the traditional pizzeria favorites with a tasty selection of salads and entrees. Plus, if you're in the mood for tradition with a twist, try our specialty menu items, unique dishes, or our exclusive Cappelli Flip! 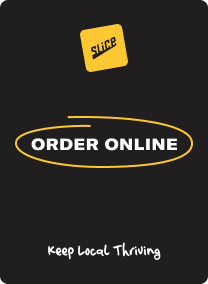 2 p.m. to 9:30 p.m.
We deliver daily, starting at 11 a.m.